Mouse is back for the holidays! A first sequel to If You Give a Mouse a Cookie, starring Mouse! The famous little mouse from the children's classic If You Give a Mouse a Cookie is back in another irresistible tale full of holiday antics. This time, if you take him to the movies, he'll ask you for some popcorn. If you give him the popcorn, he'll want to string it all together. Then he'll want to hang it on a Christmas tree. 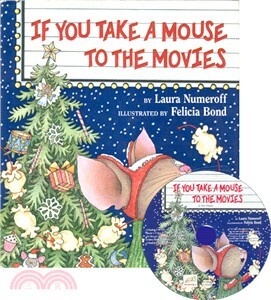 In the fourth in this mega–selling series, Felicia Bond and Laura Numeroff have created another high–energy story featuring the adorable and demanding mouse that has delighted millions of readers.